The First place I went was Zara, where I got two really cool printed t-shirts and two pairs of denim jeggings, which were cheap enough, just to wear casual to college with a pair of high top trainers and probabaly a hoody depending on the weather. I then went to River Island and saw these gorgeous high tops for €40. I have bought two pairs of high tops in River Island before and I live in them so I knew that they were worth the money. I also got these really cute pair of moustache earrings for €2. 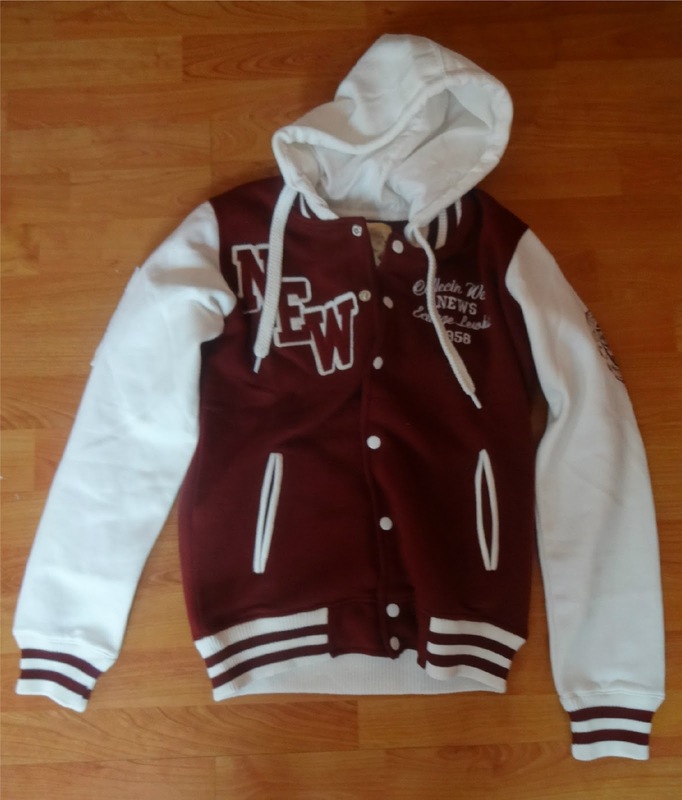 Next I went to Awear and saw this really cool letterman jacket style hoody that I just fell in love with. It’s really warm too so I think it will be great for the winter months. Finally, I got 2 Bblonde highlighting kits and a purple shampoo in Boots because I am planning to ombre my hair this week. I’ve wanted to ombre my hair for a while now and finally decided to bite the bullet and do it. I decided to do it myself because it’s very expensive to get it done at a hairdressers. I did a lot of research on how to do it yourself by watching a lot of youtube videos and reading a lot of blog posts about it. I decided to get the Bblonde highlighting kit over The L’Oréal wild ombre kit because I read a lot more positive reviews about it online, and my hair is dark brown and this one seems to make dark hair a lot blonder than the L’oréal one which makes your hair more coppery. This is also the kit that Zoella and Louise from Sprinkle of Glitter used and I love how their hair came out.